Citrus on the palate, finishes with a great saline mineral rush. There’s a bit of yeasty nuttiness there too. A 4-star bottle with a plate of oysters. Bright aromatic notes highlighted by citrus, honeydew, and honeysuckle. A nicely balanced bright mouthfeel and round texture, notes of crisp apple and minerality. Textured layers of lychee and white peach flavors. Camembert, Gen Tso’s Chicken, Veal Chops, Sushi. 48% Castelo, 37% Trincadeira and 15% Aragons. Aromas of smooth, red fruit, floral, eucalyptus, and some oak. On the palate fruity, balanced, good acidity and soft tannins. Korean Short Ribs, Paella. Deep Red, bouquet of Black truffles, garrigue and black olives. Fruit comes first, quickly followed by pepper and spices. The mouth is ample, complex and silky. Veggie Pizza, Grilled Lamb/Pork/Beef. 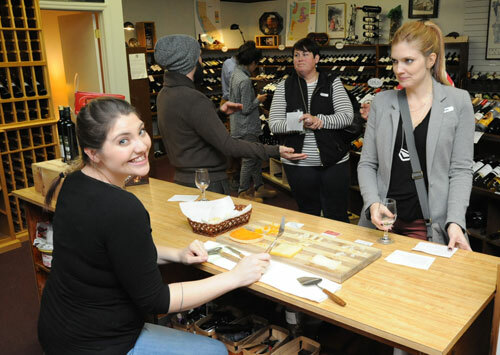 Attendees will be offered special prices when ordering the wines. We’ll enjoy five courses of Appetizers. Each course will include two Appetizers paired with a carefully selected Wine! Every Year Anna and David treat us to a spectacular array of Holiday appetizer ideas. The Wine World staff pairs wines with each dish. (hard work, but someone has to do it!) This will be the 9th year of this popular event. Pieropan is a family owned winery founded in 1880 by Leonildo who was a physician in the town of Soave. Garganega and Trebbiano di Soave are the traditional grapes of Soave although legally small amounts of Chardonnay and Pinot Blanc can be added. Pieropan uses only the traditional grapes and sources from their own vineyards. We used the 2014 vintage during the Veneto, Italy seminar in July, there are a few bottles left in the shop. I tasted them together last night, the 2015 is a little more fruit forward than the 14, with a similar salinity, minerality and depth. Dale has been seeking out a good Soave for quite a while, we’ve tasted several over the last year or so, and this is the one we both loved! Production of this wine is all certified organic. This wine serves as a great appertif, is wonderful withh all kinds of seafood, salads, steamed and lightly seasoned veggies! My wife Amy and I were in Asheville and picked up a bottle of this, (2011) and drank it late one night after having beer at a party, wow, it was just what we wanted. I ordered some for the store when we got back, we got the 2012. We tasted the ’12 last week and it was amazing. Very well balanced, beautiful fruit, wil substantial but smooth tannins. This wine gets better with every sip, you will be very sad when the bottle is empty! 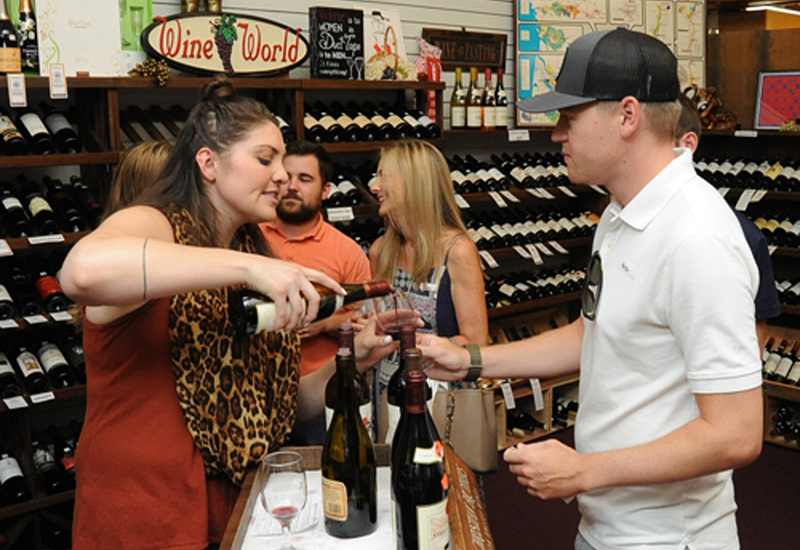 WINE CLUB members get a 15% Case discount when you pick up your club wines, since you are picking up 2 you only need to pick 10 more wines to make it a case! with Kristen Pipitone CSW, Vias Imports Ltd.
Friday Evening, November 11th, 2016, 7 pm. At Wine World. 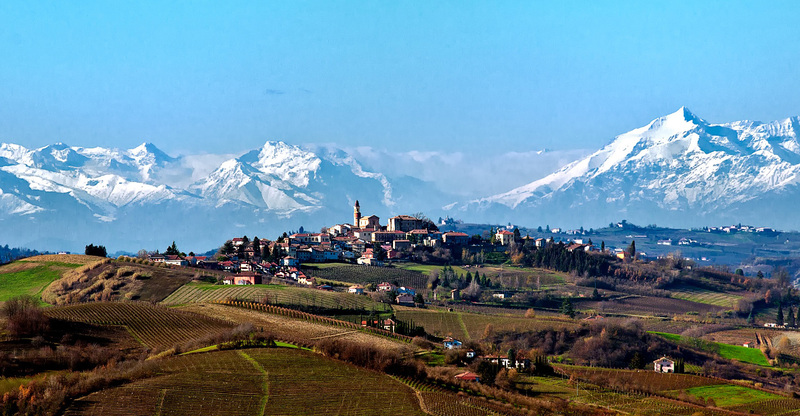 Join us as Kristen Pipitone, of Vias Imports, guides us through the Piemonte region of Italy, Which lies in northern Italy at the foot of the Alps. Vias focuses on high quality wines from traditional native Italian grapes. 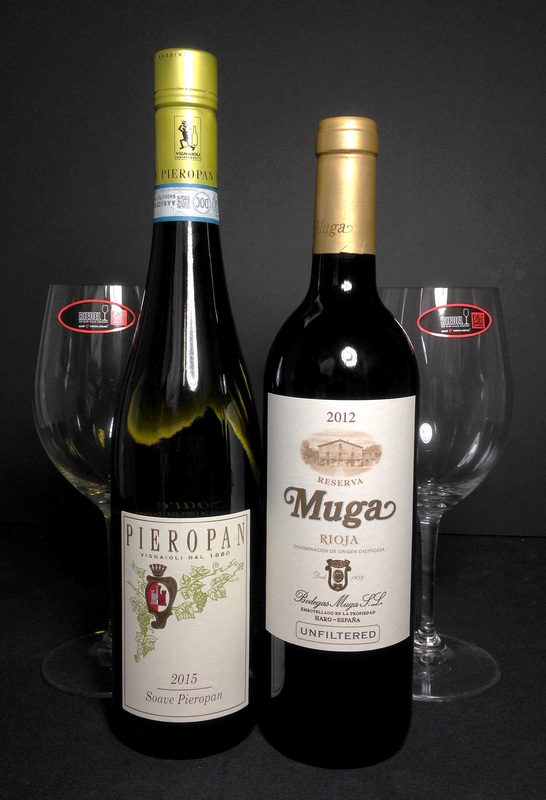 We’ll taste several of the most important styles and varietals from the beautiful and iconic Piemonte! Reserve now! The number of places is limited. Reserve early to avoid disappointment. Our seminars have been selling out. Reservations must be paid. We cannot hold places which are not paid for. $ 25 paid reservation. $ 18 for Wine Club Members. You can also mail your check to the Address above.